When it comes to cooking a delicious homemade meal, the idea always sounds great, but the execution can be a little tricky. 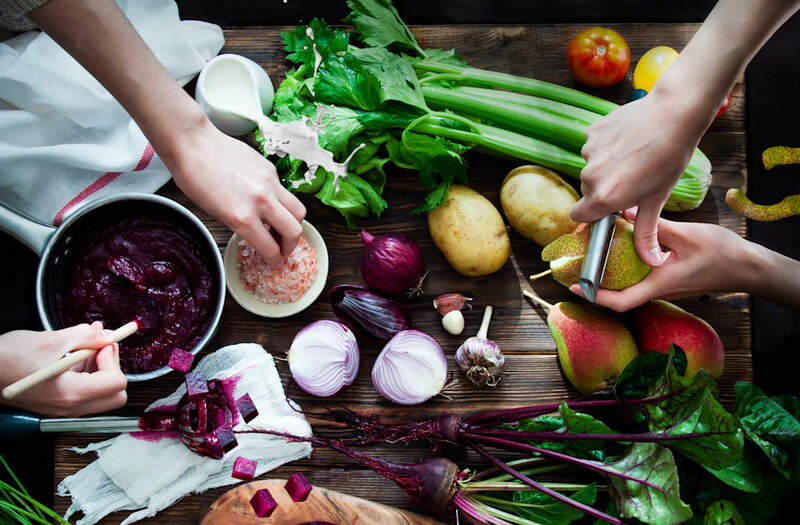 From grocery shopping for hard-to-find ingredients to meal prepping taking much longer than you expected, cooking a meal from scratch can be a lot of work... which is why you should let Plated step in. Plated is a meal kit service that delivers everything you need to whip up an amazing meal at home right to your door step. No matter if you are couple or a small family, Plated can hook you up with incredible dishes like Creamy Baked Orzo, Cauliflower Tikka Masala and Thyme-Roasted Salmon to name just a few. 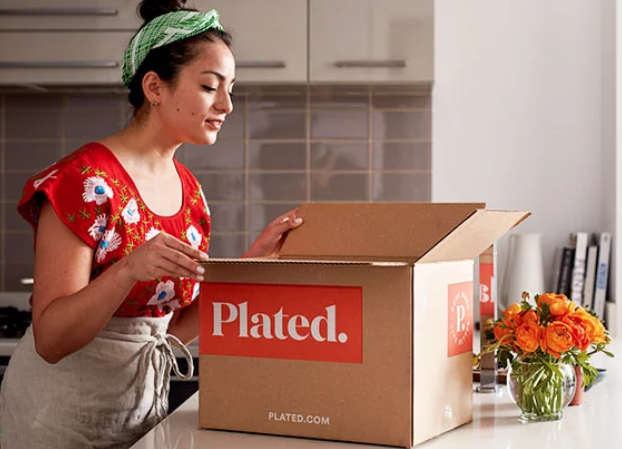 Plus, AOL has the scoop on an exclusive offer so that you can save $25 on your first two weeks of Plated (that's $50 total!!) 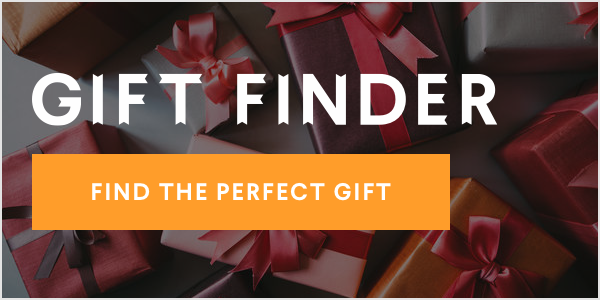 -- all you need to do is use the promo code AOL50 here. Don't miss out on these savings! Rust on a knife is a little bit like a bad hair day: It'll make you want to throw the whole thing out and start over (AKA give yourself a 2007 Britney shave), but all the cutlery needs is a little tender love and care. Load each knife up with an at-home paste of baking soda and water, and scrub it with steel wool. This hack is similar to cleaning a rusty knife. Sprinkle baking soda on the sheet, add a layer of hydrogen peroxide, add more baking soda, and let the whole thing sit for up to two hours. When you wipe it away with a coarse sponge or rag, the sheet will look good as new. Turns out, potatoes are good for a lot more than eating. When you add halved taters to a salted cast iron pan and scrub in a circular motion with the flat side down, the potatoes will clean the pan. To then season it, rinse the pan with water, pat it dry, and pour a small amount of oil into the skillet. Spread it evenly, and place the pan into a 400-degree oven for one hour. If that strip of aluminum foil you're about to throw out doesn't have a lick of food on it, repurpose it as a sponge. Crumple the stuff up, add a drop of dish soap too it, and scrub Pyrex dishes with baked-on food. Everything white yellows without the proper care: teeth, sheets, cutting boards. Luckily, the latter is super easy (and cheap!) to fix. Run your faucet until your sink fills with about an inch of water, then pour in a cup of bleach. Lay cutting boards in the sink, and let them soak for an hour. When the time's up, carefully drain the sink and rinse your good-as-new boards. Here's yet another use for a potato that doesn't have anything to do with French fries. When you've got dried cheese clogging the holes of your grater, try rubbing a potato down the blade. It'll push the cheese out, making the whole device easier to clean. If you have hard water, you know the headache of water-stained cutlery. Let your utensils soak in a cup of white vinegar for 10 seconds. The stains will come off with a quick wipe down. It's impossible not to feel like you're in a dishwasher commercial when you get ready to clean a dish with baked-on food. You can skip the witty banter with your housemate, and just reach for a dryer sheet. With warm water, it'll release all those crumbs in a few hours. So you made a smoothie and Instagrammed it. Bravo. Now comes the part where you risk life and limb to clean the blender by sticking your hand dangerously close to that spinning blade. Take the safe route and just fill the dirty vessel with soap and water, then blend it. It'll remove all the leftover smoothie and rinse clean. If you don't have a bottlebrush lying around, fill that weird jar with a little water, uncooked rice, and a small amount of dish soap. Cover it, and as you shake, the rice will scrub residue from all sides. You can't expect your favorite mug to stay looking pristine when you fill it with brown liquid every day. The easiest way to clean it is by sprinkling baking soda in the whole thing, filling it with warm water, and letting it sit for 15 minutes. When you wipe it clean, the stains will be gone.